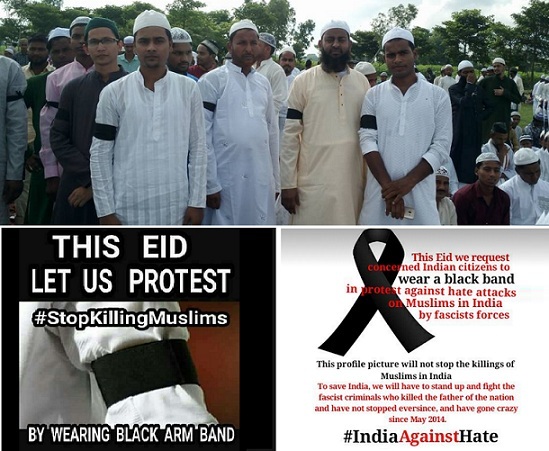 In an unprecedented show of solidarity with people who have been lynched across the country, Muslims across India wore a black band on their arms, on the day of Eid Ul Fitr. It was a protest that that had no Muslim leaders or clerics behind it. The call was given by ordinary Muslims who have seen India turning into Lynch Land. While celebrating Eid, Indian Muslims remembered how innocent Muslims have been lynched by self-styled cow vigilantes, right-wing extremist groups and radicalised mob over the period of last few months. We remembered Junaid, the young Hafiz-e-Quran who was lynched in a train near Ballabhgarh. We also remembered Pahlu Khan, who was killed by a mob in Rajasthan. We remembered Md Salman, Mazloom Ansari and all other innocents lynched. We remember how Najeeb remains untraceable and his mother fights for justice. And all others who were killed by vigilantes or those who false accused victims of consuming beef or carrying bovines or for similar reasons. In the last few months, the lynching incidents have occurred all over North India. We see right-wing extremists have taken over administration and killers are let off easily. 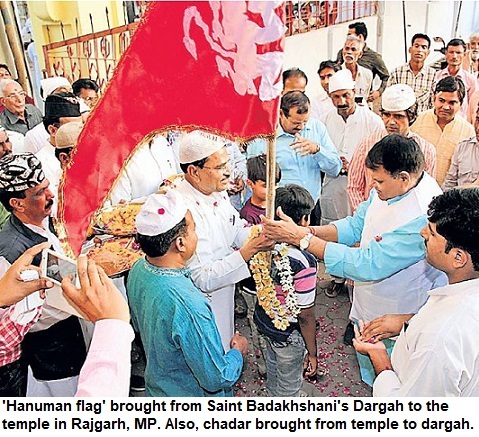 While praying in the Idgahs and mosques, Muslims prayed for the safety of Indians, prosperity for the entire country and also prayed to God to save Muslims from the lynch mob. On Facebook and Twitter, the photographs were uploaded to tell the government to wake up and rein in the killers. The hashtags like #BlackbandagainstLynchRaj and #StopKillingMuslims began trending from Sunday evening. Even in foreign countries--USA and Gulf, NRIs wore black bands as mark of solidarity. Let's vow to uphold democratic values, fight against fascism and make efforts to save our country. Will Rajasthan showcase lynching incidents, extremists' arms training camps, extremists' acts to attract Tourists? Rajasthan is considered among the most tourist friendly states in the country. But lately, incidents of lynchings, mob attacks, vigilantism and right-wing group's terror camp is keeping it in the news. Law-and-order seems to have collapsed in this state. An elderly man, Pahlu Khan, was lynched in Rajasthan. But Chief Minister Vasundhara Raje didn't speak a word, despite wide criticism. Mob attacks and vigilantism are becoming increasingly common in the State. People with saffron bands can attack a hotel, believing that it served beef (though lab tests later confirmed it was chicken) and thrash a woman, forcing her to say 'Jai Shree Ram'. Then, Bajrang Dal activists openly impart arms' training to youngsters. A middle-aged man who tries to stop people from taking photographs of women who were going for defecation, gets lynched. The authorities aren't interested in taking action. Is this how Rajasthan will showcase itself? The reputation of Rajasthan is getting sullied. The state is now getting known for crumbling law-and-order and reign of right-wing lumpens who seem to have become law unto themselves. They may not be worried about innocents getting murdered and vigilantes taking over from police and administration. But do Union government and Rajasthan authorities realise the danger of such negative publicity? Rajasthan seems to be giving competition to Jharkhand and UP in such incidents. In fact, it is faring worse.